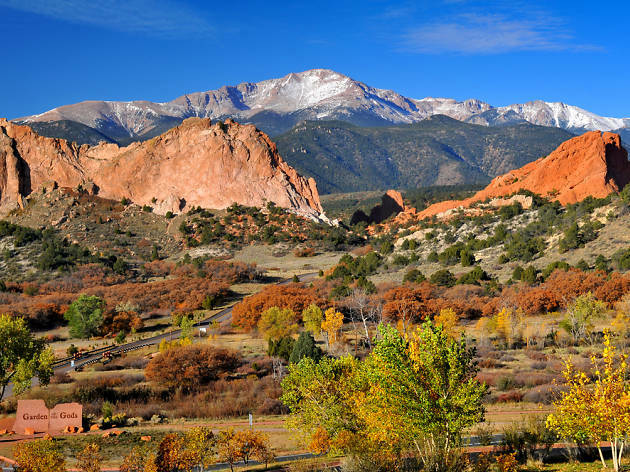 At the foot of the Rockies along the storied Front Range of Colorado, Colorado Springs is a treasure trove of outdoor pursuits suitable for everyone from Olympic athletes to the littlest explorers. The splendor of the scenery, from majestic red rock formations and mesmerizing waterfalls to picturesque alpine lakes, inspires an active way of life that draws visitors from around the globe. But that’s not to say the museums, restaurants, and hotels aren’t world-class in and of themselves. Rich with the history of a pioneering people, the region has no shortage of ways to get acquainted with the Wild West and the frontier spirit that shapes the city’s character and heritage. So rustle up your inner cowboy and start exploring. 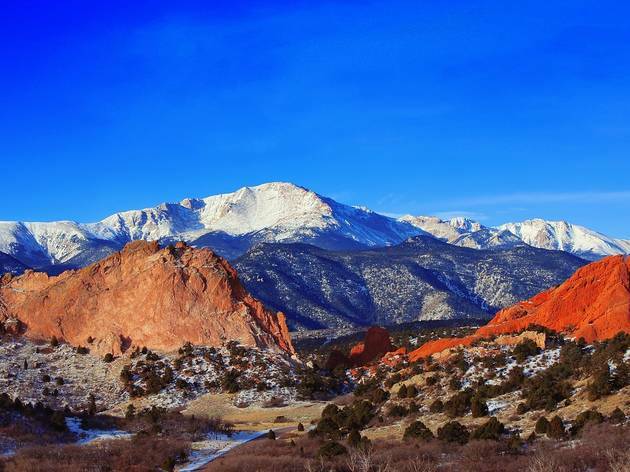 Reach the summit of Pikes Peak to see the view that inspired “purple mountain majesties”—yes, as in, “America The Beautiful"—and aze out over the vastness of the country from more than 14,000 feet in elevation. 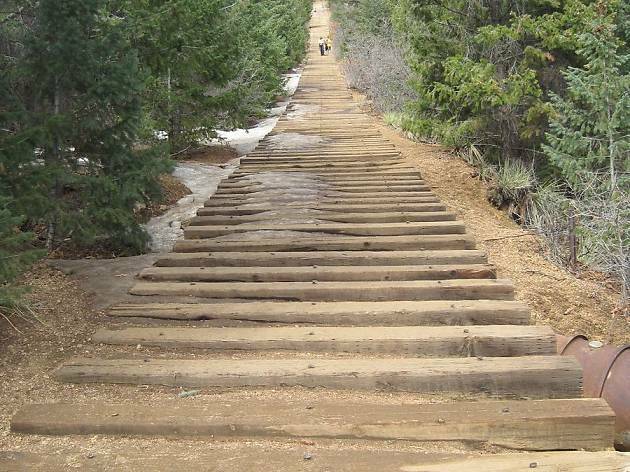 Though the historic Cog Railway—a scenic passenger train ride to the top—recently stopped running, you can drive the 19-mile Pikes Peak Highway to the summit—or a shuttle will take you the last three miles while construction begins on a new Summit House at the top. Pro tip: Don’t even think about coming down the mountain without a world-famous fresh-baked high-altitude donut. The name isn’t an exaggeration. 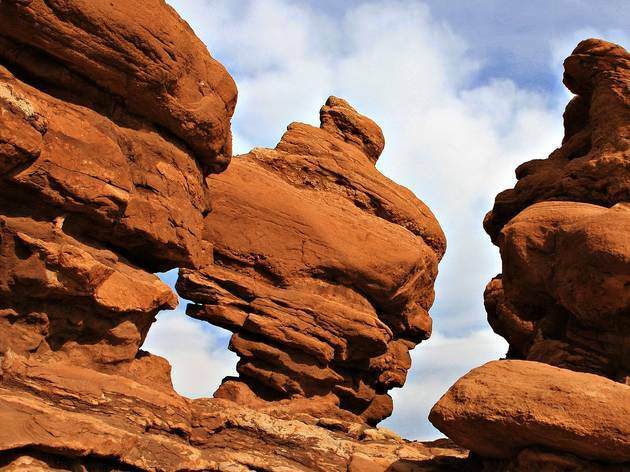 These towering sandstone rock formations, set dramatically against the backdrop of Pikes Peak, are a registered a National Natural Landmark, and rise from the rolling green hills to kiss the sky like an otherworldly—dare we say godly—landscape. There are tons of ways to experience the grandeur of the spires and towers: hike the nature trails; rock climb; hop on a trolley ride. But if you want to catch the view from two wheels, consider renting an e-bike (read: pedal-assist technology) to help you zip over the considerable hills and twists. For views that most visitors never see, join an adventure e-bike tour for a little off-road guidance. This is not an easy-breezy jaunt, but it is worth the bragging rights if you make it to the top. 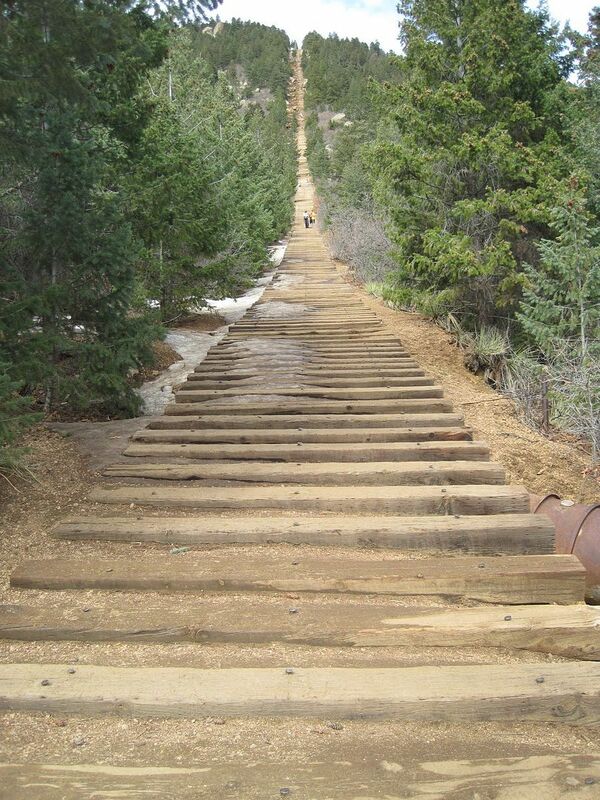 The incline is actually an old cable car track built in 1907 to carry pipeline materials on Pikes Peak. For years, itwas technically off-limits to the public—in 2013, officials re-opened it for hiking, and it quickly became a rite of passage. It’s just one mile long—but the climb averages a quad-busting 41-percent incline over 2,744 steps made from cable car ties. Tip: Don’t fake yourself out at the false summit; it looks like the top, but you’ll be about 300 steps short of glory. Take a moment to reflect in the U.S. Air Force Academy’s Cadet Chapel. 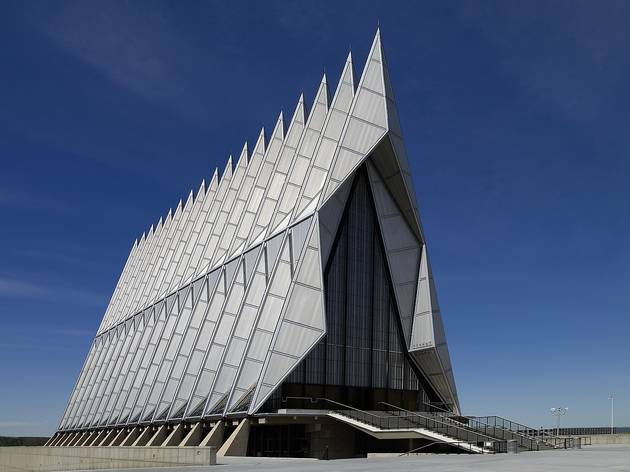 The Air Force Academy claims its striking chapel is the “most-visited manmade tourist attraction in Colorado.” It’s not hard to see why. Built in 1963, the iconic interfaith landmark—there are separate chapels for Protestant, Catholic, Jewish and Buddhist worship—looms above the campus in a modern, 150-foot-high expanse of steel, glass and aluminum that gleams against the Rockies. Its 17 soaring spires are an awe-inspiring tribute to the skyward mission of the campus they anchor. 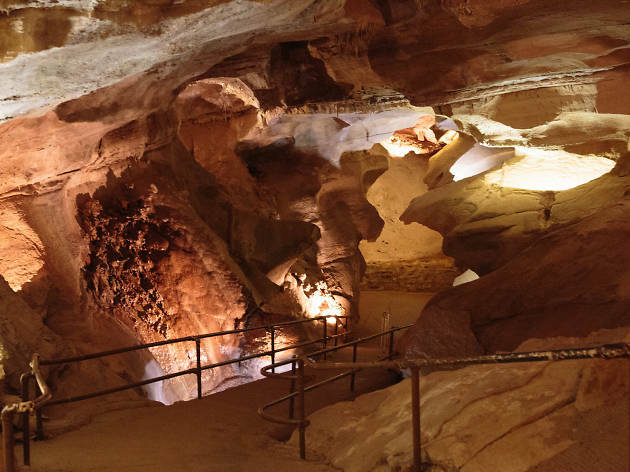 Wind your way deep into the ancient (we’re talking a cool 500 million years old) grottos and passageways of the Manitou Grand Caverns—an expedition lit only by the handheld lanterns you’ll receive before you enter. 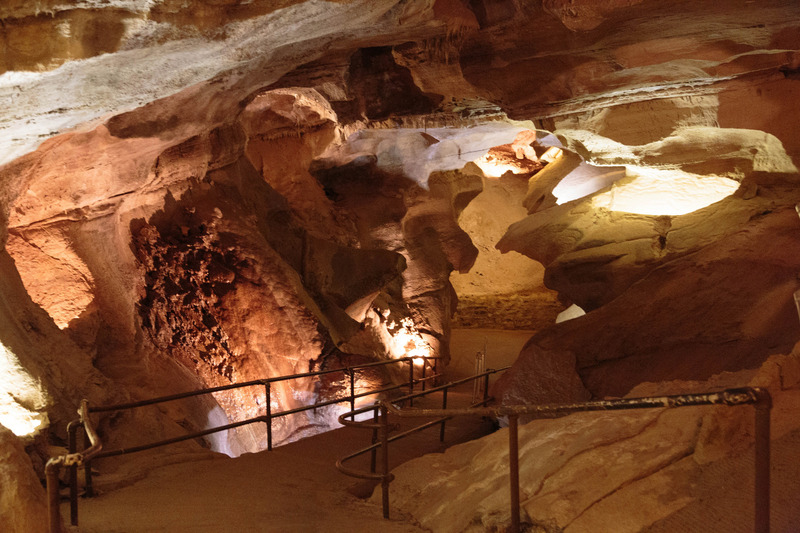 Your guide will share ghost stories, folklore and history of the caves as you explore secret underground worlds with ethereal limestone formations and names like Fairy Bridal Chambers and Marble Hall. Not into eerie shadows? Take it down a notch with the Discovery Tour. Really want to get your hands dirty? The Caving 101 tour sends you into undeveloped parts of the caverns where you’ll crawl and scramble through rough dirt passageways and mud. 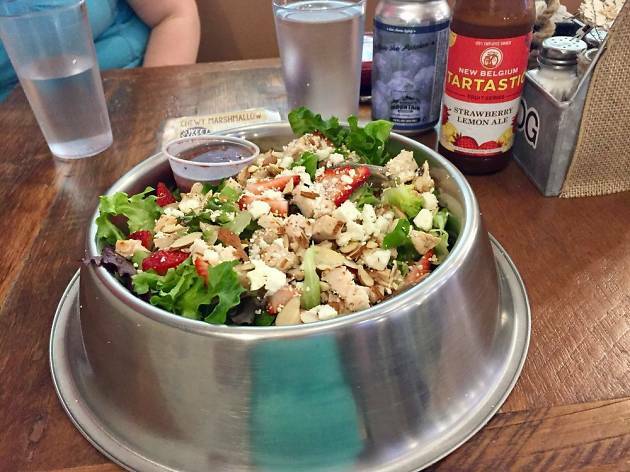 Eat lunch with an Olympian (maybe) at the Olympic Training Center. Elite athletes tend to train at high altitudes because the air is thinner, and this complex is the flagship training center and headquarters for the U.S. Olympic Committee, plus U.S. Swimming and Shooting, two international sports federations, and 15 other organizations. Translation: That’s a lot of svelte bodies and competitive personalities doing their thing. A VIP tour of the facility is the best way to get up close and personal, as it includes lunch in the athlete cafeteria. Who’s to say you won’t be passing the ketchup with the next Michael Phelps? It’s mind-boggling to think that people once carved out houses in the side of giant cliffs. And yet, we have proof—and you can walk through it. In the early 1900s, preservationists transported the ancient ruins of Anasazi cliff dwellings in the southwest corner of the state to Cliff Canyon in Manitou Springs, just outside Colorado Springs. 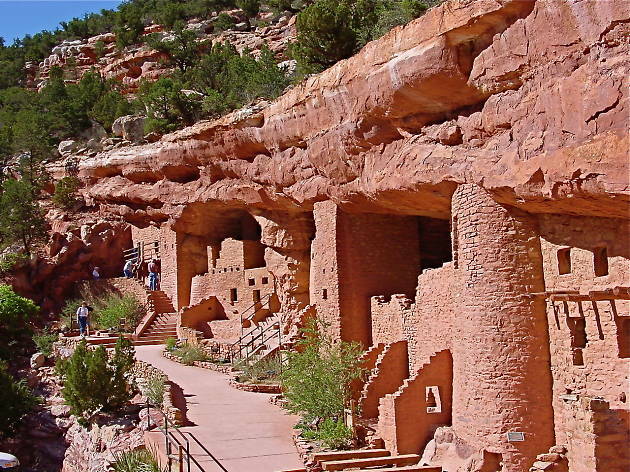 Here, they painstakingly reconstructed them, using concrete mortar instead of adobe mud for preservation, to welcome visitors in for a glimpse of the past and protect the magnificent dwellings from looters and vandals. Keep your phone handy as you walk through so you can scroll through the self-guided tour. 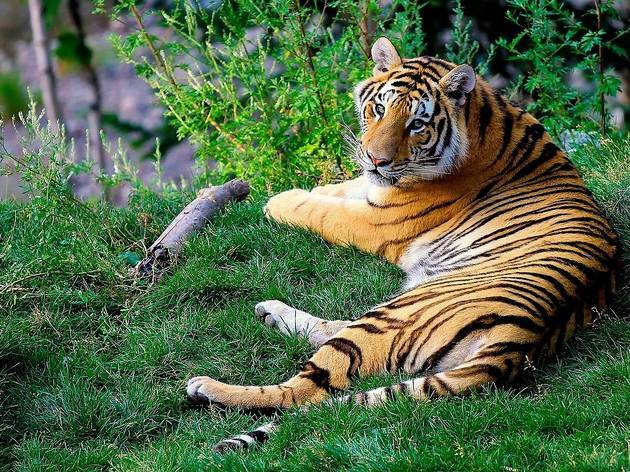 Get adventurous and feed a tiger at the Cheyenne Mountain Zoo. Watching zoo animals from behind the glass… been there, done that, right? Better idea: When you book an Animal Encounter at “America’s Only Mountain Zoo,” you get to hang out with a keeper behind the scenes, interact and take photos with the animals (choose from almost 20 species available for the experience), and, depending on the animal, even give it lunch. Ever tong-fed an Amur Tiger? Included in your admission to the zoo is passage to this historic shrine. 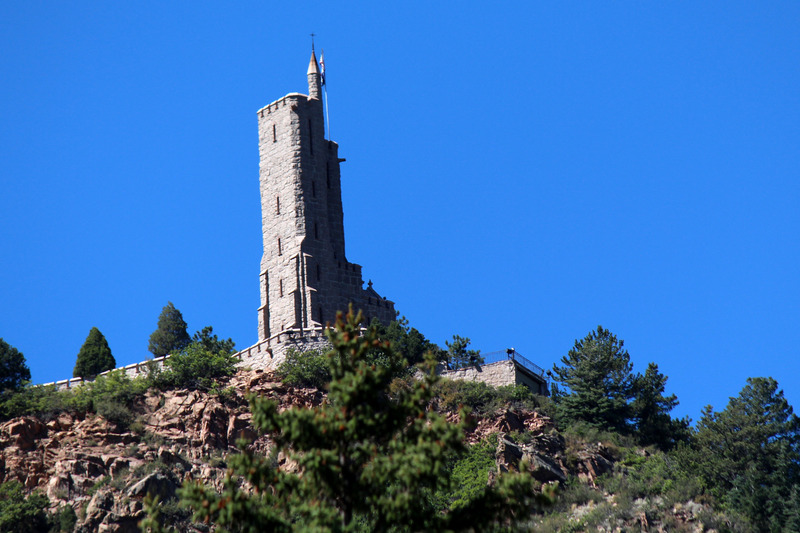 Constructed by Spencer Penrose (who also built the Broadmoor, the Pikes Peak Highway, and the zoo, and whose ashes are interred in the shrine) in the 1930s, the shrine honors his close friend, the famous entertainer and humorist Will Rogers, who died in a plane crash in 1935. 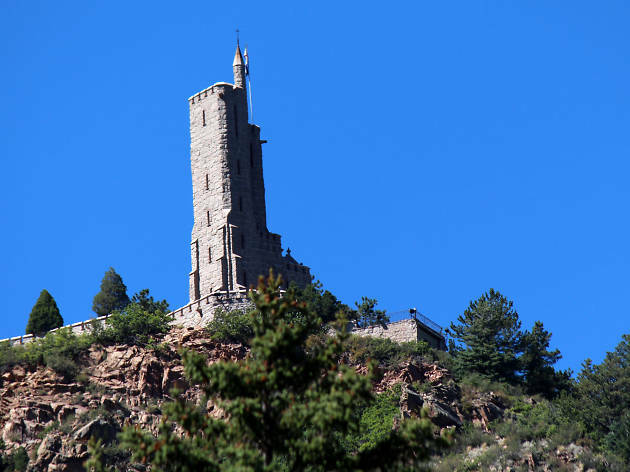 There are neither nails nor wood in the 80-foot-high observation tower, which affords stunning views; just 5,000 cubic feet of granite from a single boulder on Cheyenne Mountain; 200,000 pounds of steel; and 300 wagon loads of cement. Just a small labor of love. 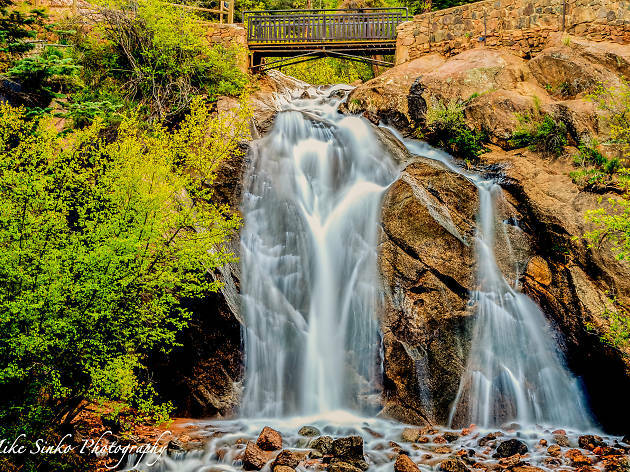 On the southwest side of the city, this 35-foot waterfall (named for activist and writer Helen Hunt Jackson, a champion of Native American rights after the Civil War) is a picturesque way to end a four-mile creekside hike through Cheyenne Cañon. 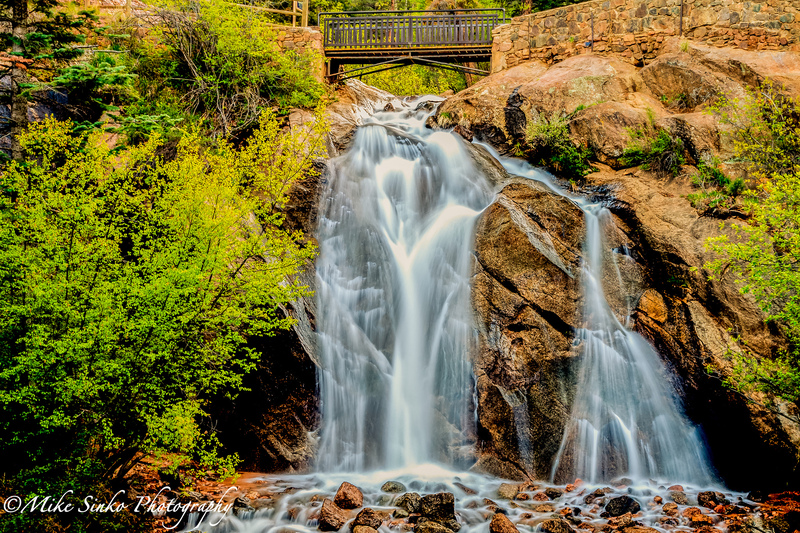 Take in the splash from below, or climb up to the bridge that crosses the falls for a birds’ eye view. 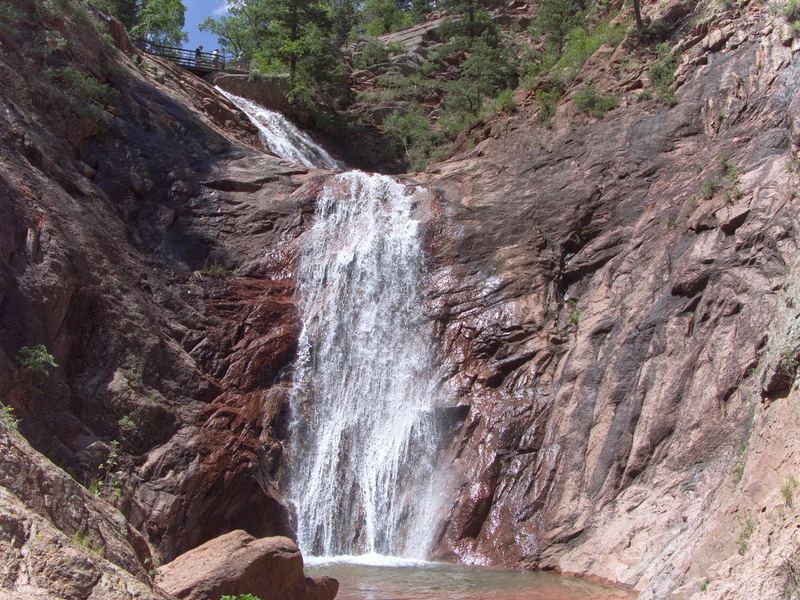 Note: If you prefer your scenery without the sweat, you can drive up the canyon and park at the Helen Hunt Falls Visitor Center right at the base of the falls. Into art and crafts? 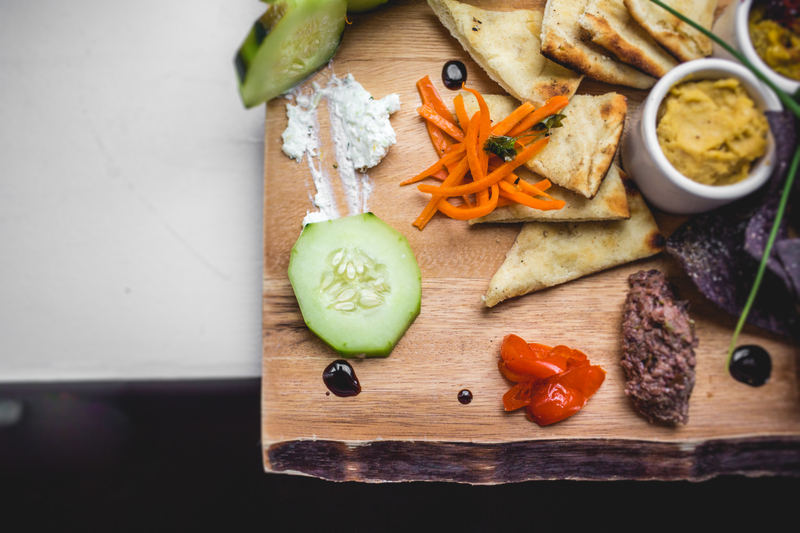 Make time to gallery-hop in historic Old Colorado City. On the west side of town, this hotspot of shops, galleries and restaurants is a national historic district that oozes Old West charm and newfound vitality. 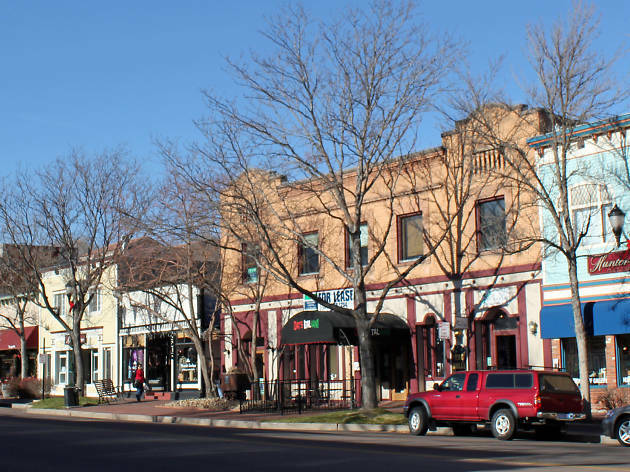 Founded in 1859, it was the hub of early settlement in the region, and the first capital of Colorado Territory. Today, the old brick buildings and quaint alleyways have undergone significant restoration efforts, paving the way for a cultural renaissance. 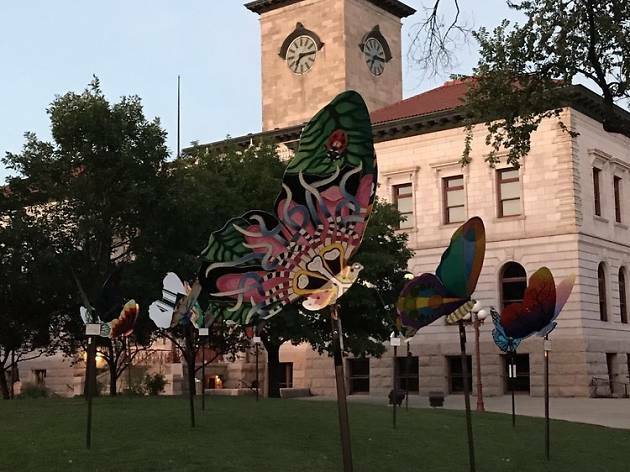 More than 15 galleries line the streets, showcasing local and regional art in workshops and open-air studios where you can watch the magic happen. 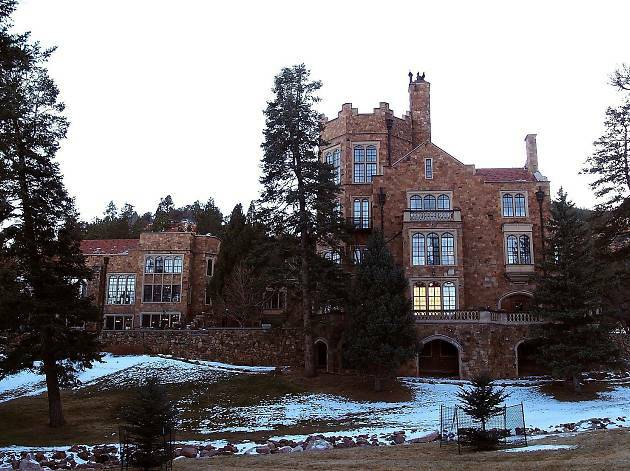 Take high tea at the Glen Eyrie castle, where for nearly 150 years, visitors, guests and residents have been inspired by its quiet countryside grandeur. 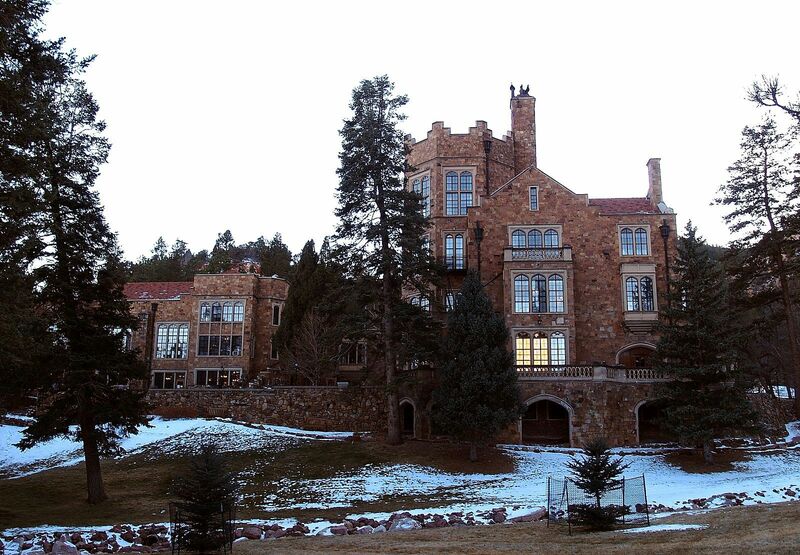 Originally built in 1871 by General William Jackson Palmer, the founder of Colorado Springs, the home was expanded over the years and today has 67 rooms and 24 fireplaces. The castle is now owned by Christian ministry group the Navigators, and is open to the public for guided tours, conferences, overnights, and exquisite British-style teas in the Castle Music Room (2:30pm daily, plus 11:30am Friday through Sunday). And yes, that tea comes with sandwiches, cupcakes, scones and more. 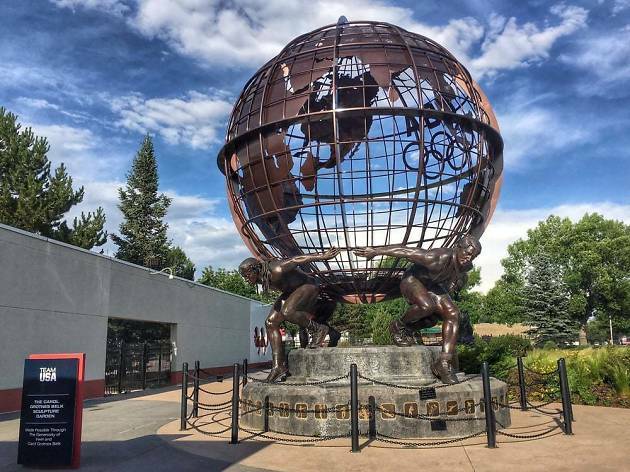 Get a history lesson at the Colorado Springs Pioneers Museum. 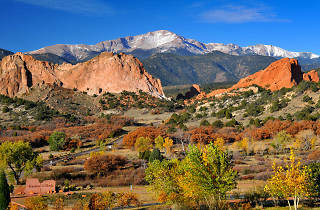 What do you want to know about the Pikes Peak region? Whatever it is, the docents can probably tell you all about it at this museum. Get the most out of your visit on one of the themed guided tours: Journey to Pikes Peak, Art & Architecture, Innovation & Imagination or The Story of Us. Or, sign up for the Downtown Walking Tour for a close-up look at how the bustling buildings and businesses on Tejon Street have changed over time. You can’t argue with the name Trails End Taproom, because there’s no better place to go when you reach the end of the trail on that killer hike/bike/climb that’s probably right out your back door. 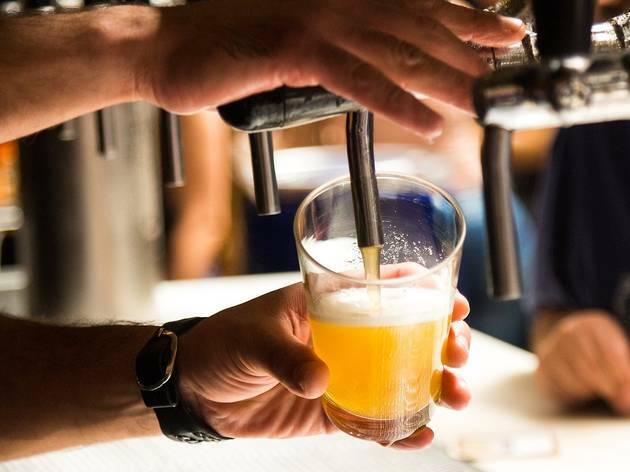 Besides the fact that there are indoor topo maps, bike work stands (in case your ride is beat), a list of trail conditions and huge bathrooms convenient for changing into or out of your gear, this is the Springs’ first self-pour taproom—that’s 40 self-serve craft beers, wines, ciders, and kombuchas on tap—and you pay by the ounce by swiping a “beer card.” Bonus: All tips go toward local trail and humanitarian nonprofits. 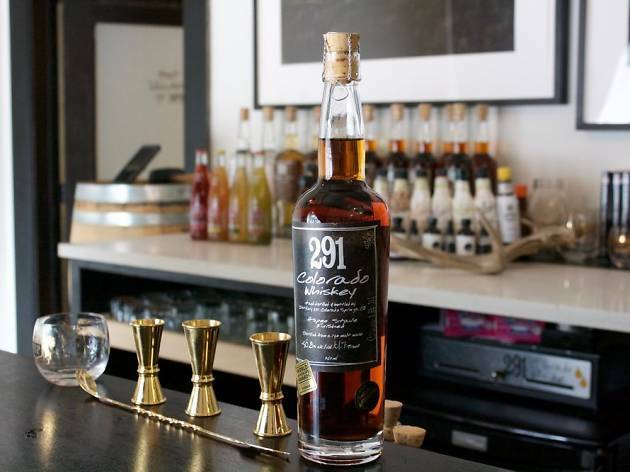 You’re in the Wild West now, and if you want a drink to go with that swagger, local small-batch whiskey from Distillery 291 is the way to go. Owner and distiller Michael Myers grew up on a rural farm in Tennessee’s horse and whiskey country, then opened his own award-winning distillery in Colorado to craft spirits with the character of the West in every sip. 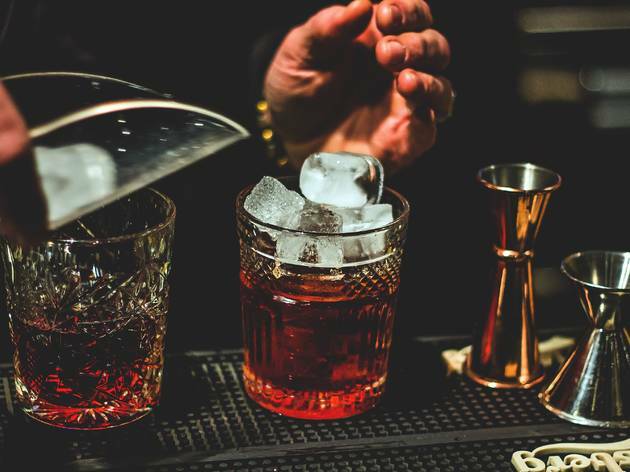 So cowboy up in the tasting room and order a flight from the seven flagship whiskeys (and one liqueur), or try a handcrafted classic whiskey cocktail with a 291 spin. Giddyup. Order a swanky cocktail at the speakeasy-style Sakura Cocktail Bar. Step one: Walk into Rooster’s House of Ramen and head toward the back. Act casual. Step two: Locate the hidden faux-brick door; there’s no handle or knob, so you’ll have to push it. Act like you’ve done this before. Step three: Belly up to the dimly lit bar, order a divine (and surprisingly affordable, for handcrafted mixology) Asian-inspired cocktail, and pat yourself on the back for being cool enough to snag a spot at the Springs’ newest speakeasy-esque watering hole. Nerd out on nostalgia with Pac Man and Donkey Kong at Supernova. 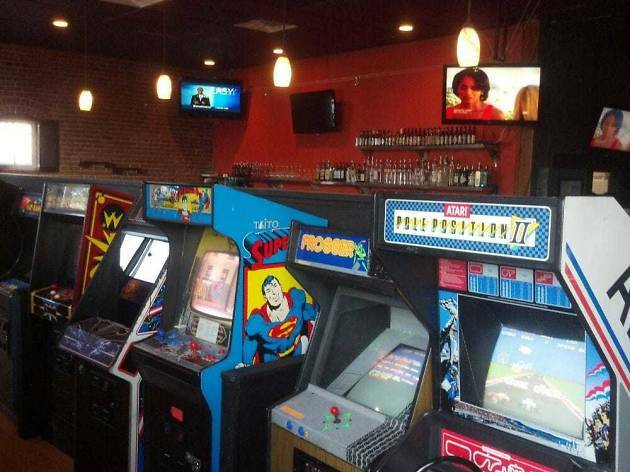 One word: “Barcade.” Yep—It’s a bar. It’s an arcade. It’s heaven for anyone who wants a little throwback to their Frogger and Space Invaders glory days. Pop in for a Supernova Burger (topped with bacon, a fried egg and fried jalapeños—heck yes) and drink specials during happy hour (weekdays 3 to 6pm) and get your joystick thumb ready. It’s on like Donkey Kong. Hooking a Colorado trout at Crystal Creek Reservoir is practically a rite of passage if you’re any kind of angler—and Crystal Creek is stocked with 17,000 of ’em annually. 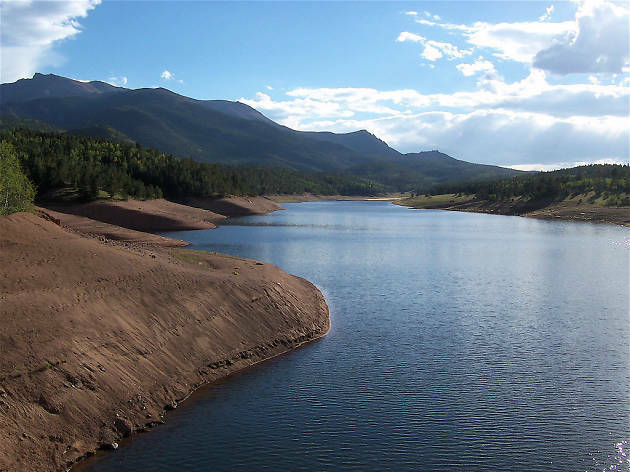 Accessed via Pikes Peak Highway and boasting a terrific view of the peak itself, the reservoir is teeming with rainbow, brook and cutthroat trout snag-able from the shore, and lake or brown trout if you venture out in a (non-motorized) boat. The trail system around the reservoir offers a nice outlet for low-key hiking, and you can stock up on supplies at the bait and tackle shop at the trailhead. 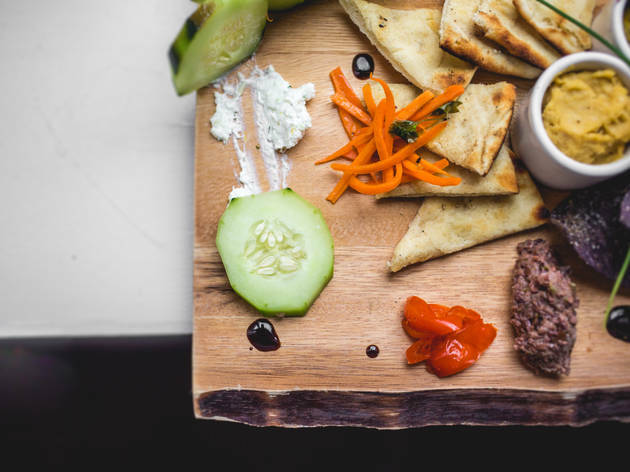 The chefs and restaurateurs in this Front Range hub are committed to pushing the foodie envelope farther and farther, even as they strive to preserve the dining traditions that anchor this picturesque urban oasis at the foot of the Rockies.